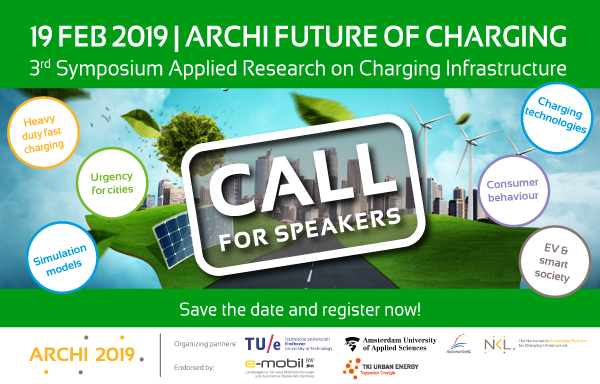 19 and 20 February 2019 Future of Charging Symposium (former ARCHI) offers a platform to present and discuss scientific insights in market uptake of EV charging. How to identify and predict the needs of different user groups and how to organize and accommodate the different charging solutions in cities, on the EV-market and in our rapidly developing smart society. Eindhoven University of Technology, Amsterdam University of Applied Sciences, AutomotiveNL and NKL - The Netherlands Knowledge Platform for Charging Infrastructure invite researchers, academics, applied researchers and practitioners to a symposium about Applied Research on Charging Infrastructure. Endorsing partners are TKI Urban Energy and e-Mobil BW. 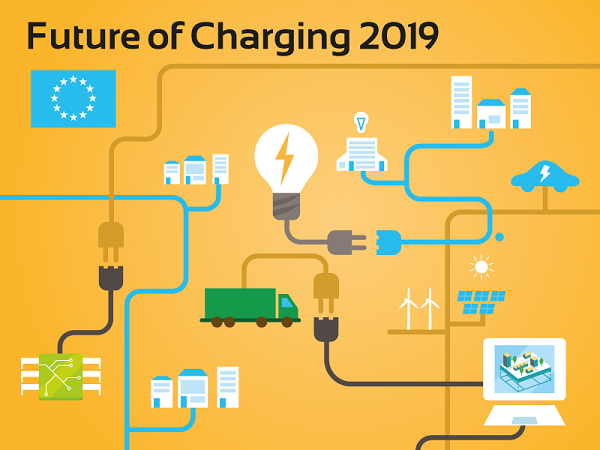 Speak @ Future of Charging 2019! Join the cutting edge EV community at the Dutch Symposium on Public Charging. You will have the opportunity to strengthen collaborative networks in science and business and to exchange practical and (applied) science in the field of publicly accessible charging infrastructure. Do you want to share insights or new research results? Does your research provide new opportunities that you want to explore with other professionals? Are you preparing the next phase of your research? Are you an enterprising scientist who wants to translate science into concrete products and services? Do you want to challenge practitioners with new insights to change policies and business approaches to charging? Are you an innovative entrepreneur with new insights that the research world needs to hear? Please fill in the form: state your research topic and motivate your proposal to speak. Speakers at the Symposium are invited as expert guests on the VIP opening session of Future of Charging on the evening of Monday 18 February 2019. Speakers can also join the Practitioners day on Wednesday 20 Feb.